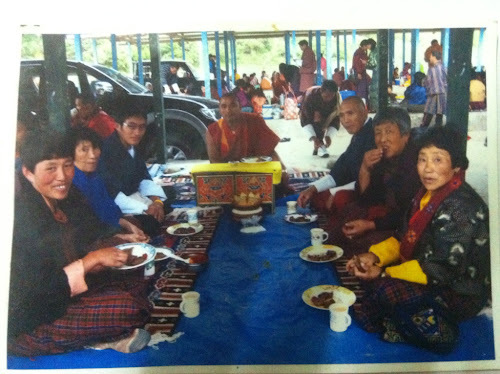 Both my mother and mother in-law were among thousand other in Haa last month receiving Thrul from his holiness the Je Khenpo. And this time I had the opportunity to understand the purpose of closely. There were many things I took for granted and therefore I missed the biggest responsibility as the eldest son. Thrul is the spiritual preparation for death, it's the turning point in ones life; the point in life where we realize and accept death as the gateway to next life and therefore receive the teachings that are believed to be the light through the gateway. Two interesting events during the Thrul are Getting the spiritual name and then meeting the spiritual family. Our names are believed to be associated only with our body, and therefore we must leave it behind as well. We receive choeming, meaning the spiritual name, the name with which we will be known after death. Then the spiritual family- the crowd of thousands will form groups of seven with the blessing from the je Khenpo and they become Dorji-puen. Seven strangers unite in the presence of his holiness to be spiritual brothers and sisters across lives, yes across lives. 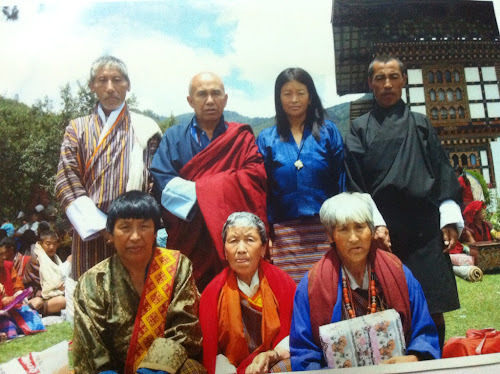 Dorji-puen means your brothers and sisters for next life. And if you love your parents so much you must make it your first priority to let them receive this blessing when they are still strong and breathing. You may not believe in all this but what is more important is what they believe in. This is one priceless gift. But I failed. I was out on vacation when my mother met her spiritual brothers and sisters. I and all my siblings were expected to be with her during the ceremony, and we should be meeting her newfound family over tea or lunch. I am only hoping I will make it up to her someday. But you need not wait for another day, know that you have to be there during the last two days of the Thrul with tea, which I didn't know. My brother in-law, though youngest in the family, made all the difference by being there and fulfilling his duty as son. Thank you.